Richard Rodrigue established Rodco Machine Company in September 1977. The company occupied approximately 750 square feet of space, and the basics in machinery and tooling. Over 30 years later, Rodco has grown to occupy 5000 square feet of space, which is now temperature controlled, and houses the latest in machinery, tooling, and inspection equipment. 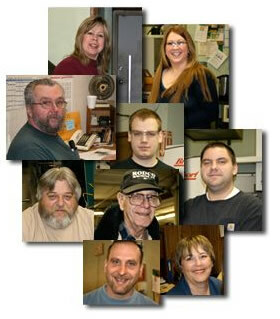 Rodco employs six full time machinists, an inspector, a driver and two office employees. We pride ourselves in producing accurate parts to blueprint specifications with on time deliveries and competitive pricing. You will always talk to a person at Rodco. We have chosen not to allow voice mail in our facility. We have full engineering capabilities with our cad system and an engineer, on call as needed. You can email your design to us and we can engineer, quote and produce the finished product. All parts made in our facility are first piece inspected and receive a final inspection with completed inspection reports. We, at Rodco, look forward to working with you to meet your machining needs. We pride ourselves on providing personal service. By choosing not to include voice mail systems, you always talk to a person when you call our office. This allows us to give you hassle free service. We provide a quick turn around and price our services competitively. 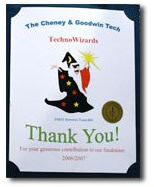 Among the organizations and groups Rodoc supports in our local community is the FIRST Robotics Team 809 - Techno Wizards. These students from Cheney and E.C. Goodwin Tech worked together to create their robot: Merlin III. In February and March of 2007 they were able to compete in Hartford, CT and Toronto, Canada. It was a great experience for all involved. Rodco also supports the Channel 3 Kids Camp in Andover, CT.